Grammy entrant nominee, critically acclaimed, appearances in film and t.v., live shows across the globe, still, Solomon King remains an enigma. His music is deeply rooted in the Blues of his native Motown but “that voice” hasn't been heard since Johnny Cash. 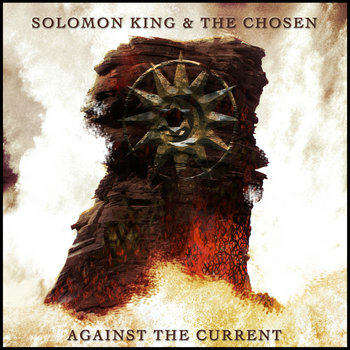 With his new album, "Against the Current" Solomon conjures up the ghosts of David Bowie, Lou Reed, Pink Floyd, and even Igor Stravinsky. But Solomon King does not copy other artists. Rather he proudly steals from the wealth of the past to create what will be stolen in the future. “that voice” is back! Solomon King's music is... "Dark Romantic" embracing musical styles ranging from Rock to Blues to Americana but always uniquely Solomon King. If Nick Cave and ELO were to collaborate you might have something like "57 Octaves (below middle C)". If Johnny Cash replaced Otis Redding you might be listening to "Underground Brother". If Roy Orbison were to materialize with a new classic of longing and loss "Come Home Soon" would be streaming through your earbuds. "A lucky seven combination of eclectic love songs and superb musicianship, Against the Current leans on many vibrant influences, where every sound has a musical quality... Lou Reed’s bristling tough sound (“Shadowland”); Jim Morrison’s blues (“Pussycat”); churning Stravinsky-like rhythms; and, a Bowie-like breezy, gorgeous title song that has a heroic “Heroes”-like vibe"
Ashley Jude Collie "Huffington Post"
Echoes of rock, blues, soul and country greats reverberate throughout Solomon King’s extensive repertoire and he’s as likely to introduce a packed club to a long lost Hank Williams gem as he is one of his signature contemporary originals. Unpredictable but never afraid to shake things up, “No bar too far, no hall too small,” could easily be the motto that describes how he and The Chosen approach fulfilling their collective musical goal. "Addicted to Love" the new single featuring the guitar work of Ray Parker Jnr is out now. Buy the EP and receive 3 more songs from the Solomon King Collection. All 4 tracks are available now as a prelude to the new album Against the Current. Live the Blues with the King. The new single “Addicted to Love” – Available Now. There are those that simply play the blues and some people that have lived them, and there are those like SOLOMON KING who have done both. With songs in True Blood, a Grammy entrant nomination for Under the Sun and a new album just around the corner, it's time to revisit that Johnny Cash-esque sound wrapped up in the blues sound that made him an enigma. "That Voice" Is Back! Jack Me Up is a collection of best of tracks from Solomon King & The Chosen, to give you a taster before the new album "Against The Current" launches at the end of July. THE KING... The Collection... 9 of his best... It’s time to Jack Me Up!